Here is the honest truth: If you want your website to get noticed, the fastest way is to get your content to go viral on the internet. One way that I am seeing companies do this is by themselves posting links to their content on Pinterest and in turn getting others to post them as well. Pinterest is a link aggregation social network that is unique in that it centers around sending users to other websites rather than brokering social interaction between its users. My wife, for example, can spend hours just looking through home decor ideas that other users have posted and then reposting her favorite ideas for her own followers to see. The links stay there for her own personal reference later and they are also shown on the pin boards of others. 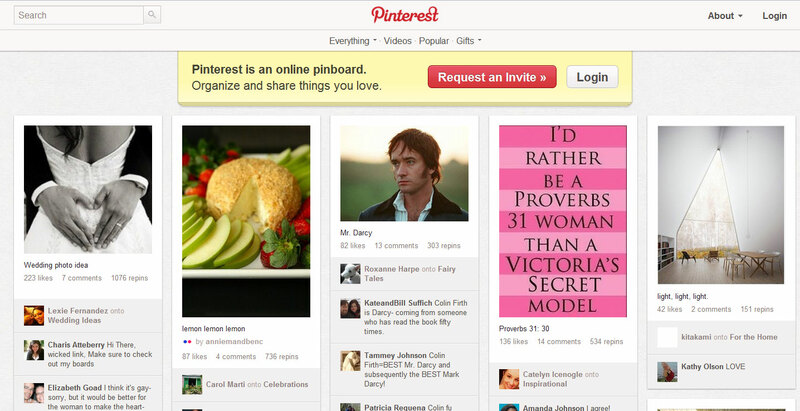 Even people in the news media are gravitating towards Pinterest. My friend, Hugh Hewitt, just posted his insight into this social network on his blog. I encourage readers to take a look at his insights as someone who’s job it is to disseminate information to millions of listeners and followers. You can see his pin board here and take a look at how he is using it to organize his favorite resources on the internet. If you and your organization would like to utilize Pinterest or any other social network to promote your company’s information and ideas, shoot me an email. I would love to give you a hand setting them up and integrating them into your website. Contact me at michael@fusionaz.com or you can get a hold of me on twitter @mwithem.